Melbourne’s reputation as a leader in technology and innovation will be further cemented with the addition of the Apple Global Flagship Store to Federation Square. Apple has submitted the refined designs for its Global Flagship Store to the Minister for Planning for consideration. The project will open up more than 500 square metres of new public space, provide outdoor shading, better connect the square to the Yarra River, deliver more cultural events and boost visitor numbers. Since the beginning of 2018, there have been a number of workshops involving the Victorian Government, Melbourne City Council, Federation Square Management and Apple to consider design refinements to the original concept drawings for the Apple Global Flagship Store in Federation Square. According to Federation Square CEO Jonathan Tribe, the Apple store design refinement is “consistent with Federation Square’s Civic and Cultural Charter, which recognises Melbourne’s pre-eminence as a centre of creativity and innovation”. 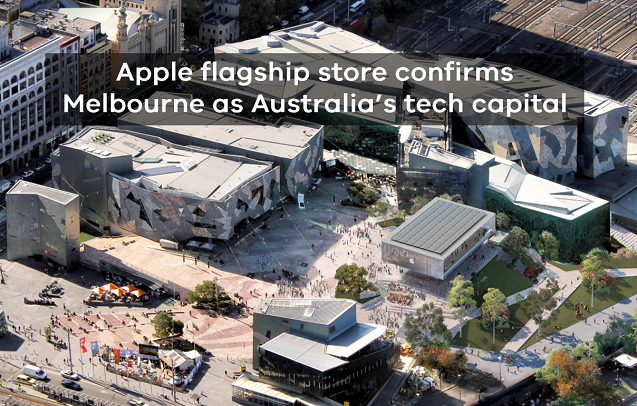 Apple’s flagship presence will further consolidate Melbourne’s position as Australia’s leading tech city. A daily program of free events – Today at Apple – will use local creative and tech talent to run workshops and experiences showcasing local tech, design, art and education communities. 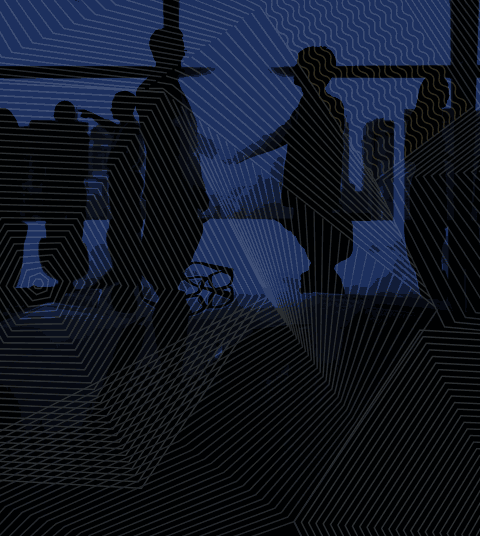 The program will help to inspire and educate Victorian’s cultural and tech capital. The addition of Apple’s largest store in the southern hemisphere is expected to attract an additional two million people to Federation Square each year.